Hi guys! We are happy to announce our new models and wood color bottoms. We have real redwood and olive bottom plies added to our shapes. We added redwood to our Buffalo pintail in the 40" and 46", 40" Grizzly kicktail and 48" Journey dancer decks. Coming soon is the 27" Fox and the 30" Falcon. Hi guys! We are uploading new longboard and skateboard product videos all this week and next week. Hopefully we can finish all the models we have on the site in time. We currently have the 27" Fox, 30" falcon, 33" wolf hunter, 36" tribe, 40" buffalo and the 46" buffalo. We will have the 40" kicktail Grizzly and 48" journey finished by tomorrow and all the remaining models in the following days to come. These videos are to help you to decide on which board is going to be the best choice for you. The American Buffalo is born to travel through the roughest conditions and the farthest distances. This board is perfect for getting out of the house and getting some breeze in your hair. With it's sturdyness and extraordinary turning abilities you might never want to return. We currently do not have deck only available on the site. They should be up soon. For now if you want the deck and grip only with no wheels and trucks send us an email and we can email you an invoice and ship it out. 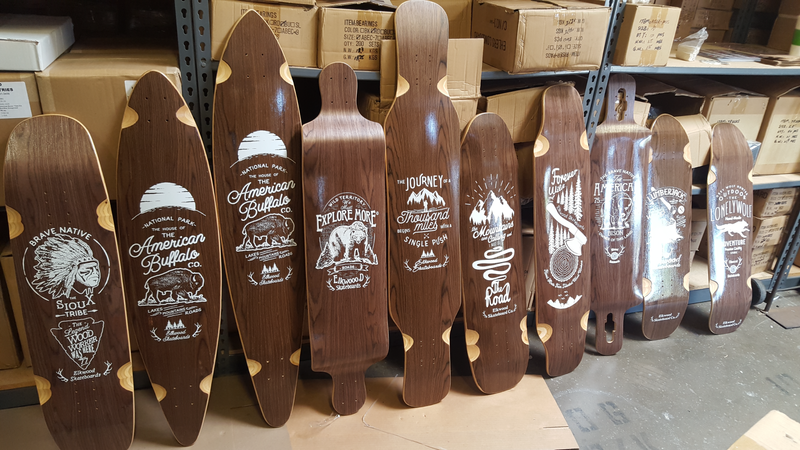 We are stoked to come out with some color on our decks. We have red, blue, pink, green, and black right now. 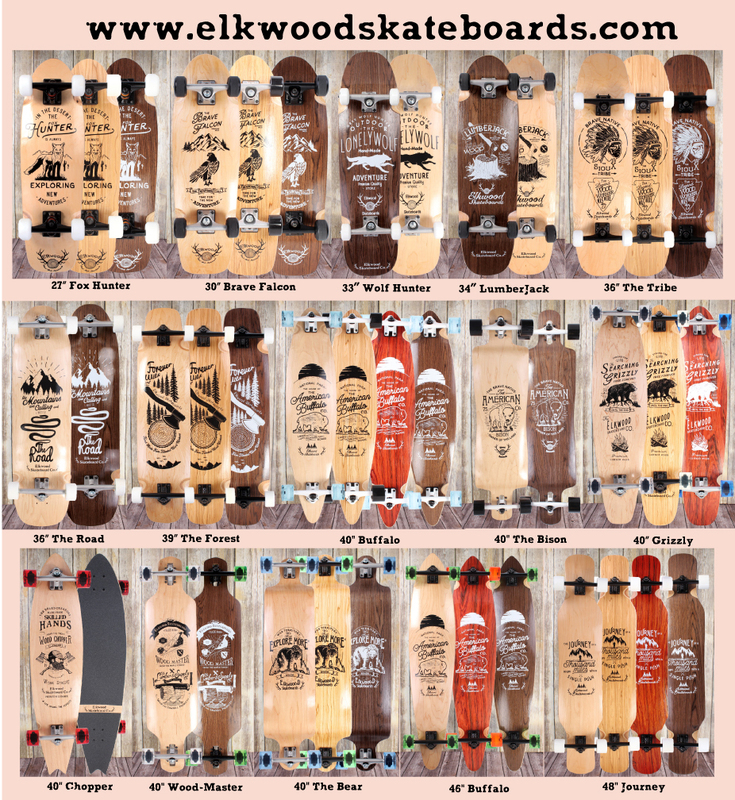 We are only selecting a handful of our most popular shapes to have the color stained deck bottom options. We currently have them on the 27" fox, 40" buffalo pin, 40" woodmaster and the 41" drop down bear. We are working on the 30" falcon and the 46" buffalo pin right now so we should have them on the site very soon. Thanks for the support Shaun. We know it’s very difficult to get the word out when you’re a new company. 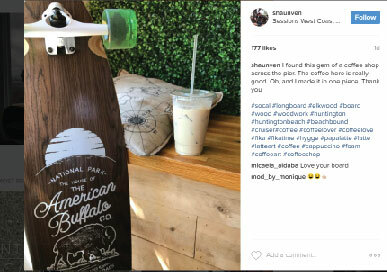 It's all about skaters like Shaun that are psyched on our boards enough to give us Instagram props. So we thank you and may you have awesome skate days. We are up and ready to go skate! I just want to thank everyone for all the positive feedback and the wholesale purchases. 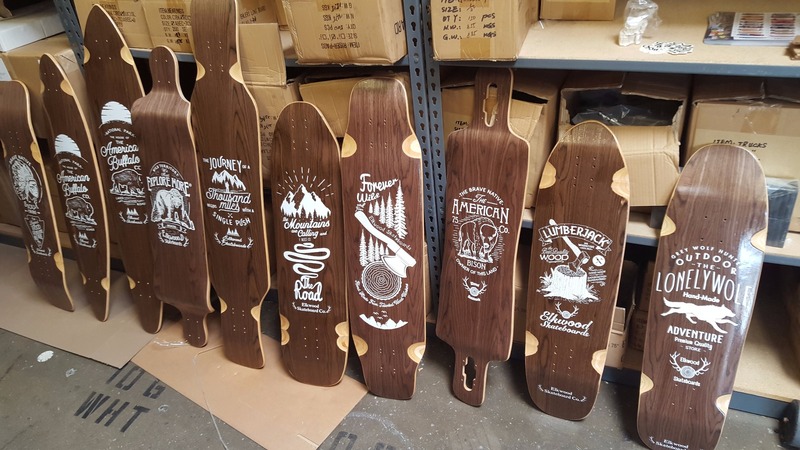 we are going to start a shop link on the bottom of the page for customers that want to go to there local shop to purchase Elkwood Skateboards. Hello and welcome to the new Elkwood website. Everything is almost ready for purchase. We will keep you updated.